IT Asset Disposition | Core Technologies, Inc. The average life-cycle for most computers and IT equipment is somewhere between 3-4 years. Most companies throw away IT equipment at the end of this cycle – and simply deal with the loss of their original investment. But there’s another way to deal with end-of-life IT equipment, and make money in the process. When it’s time to replace technology – like computers, servers, laptops, monitors, storage, networking hardware, phones, and more – Core Technologies can help you with asset monetization services. 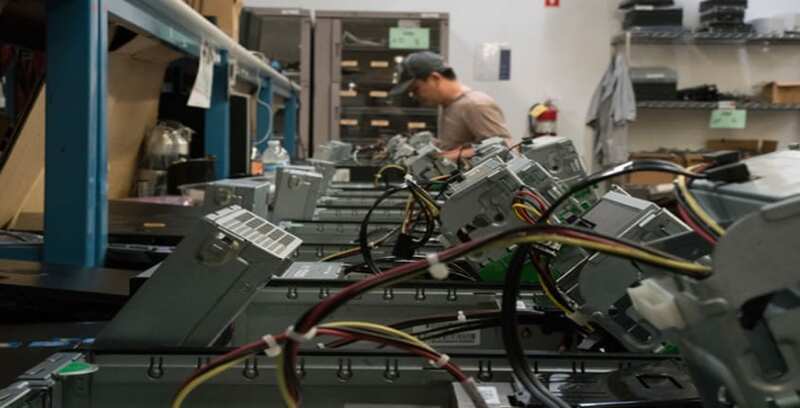 Back at our Technology Center, our expert engineers and technicians take our used materials, and refurbish them to meet their original condition. And then, in their renewed condition, these materials can be offered to organizations looking for price-reduced, reliable hardware. This is our recycling process, and it profoundly aids in reducing e-waste – while offering you cash for supplying the used material. Along with refurbishing, we also offer de-installation services, packaging, and pickup – to make it easier to work with us than to simply dispose of your IT equipment. You can put your trust in our system, which employs the standards used by the Department of Defense, and is ISO 9001-2008 certified. Using various levels of data wiping, information is securely removed from any storage medium. With a 1-Pass Wipe method, data is prevented from being read from the medium again if using standard system functions. For higher levels of data removal, DOD Level 3 and DOD Level 7 Wipes use and overwriting method which counters data remnants to clear out information. 1-Pass Wipe Writes the same data in every storage sector as a pattern of all zeros. At a minimum, this will prevent the data from being retrieved simply by reading from the medium again using standard system functions. This is the quickest method. It performs a single pass on the selected partition or drive and zeroes out all sectors. DOD Level 3 Wipe A method used to counter data remnants by overwriting the storage medium with new data three times over. This is often called wiping a file or disk. Implemented by software alone, and able to selectively target only part of the medium. Overwriting is an acceptable method of clearing, as long as the media is writable and not damaged.